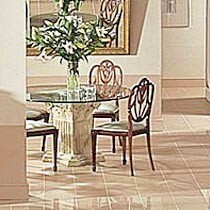 Visit The Design Expo Flooring Center of Bowie located in Bowie, MD for all your floor covering needs. For inspiration, ideas, and a glimpse at the state-of-the-art in interior design, we invite you to browse through our gallery of high-end tile and stone flooring projects. Here you'll see exactly what can be achieved through the artful blend of creativity, master craftsmanship, and the absolute best materials money can buy. Click here for more information about TEC Specialty Products.